Home / Tags / Sweet! Need a gift for the dark chocolate lover in your life? This Gift Set comes with 5 Sweet! 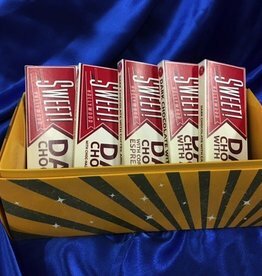 dark chocolate bars! Each bar is only $7, saving you $1/bar! Get all 5 bars for only $35!